This Hippie Love Smoke Odor Air Freshener will have feelin' like its the 60's all over again. 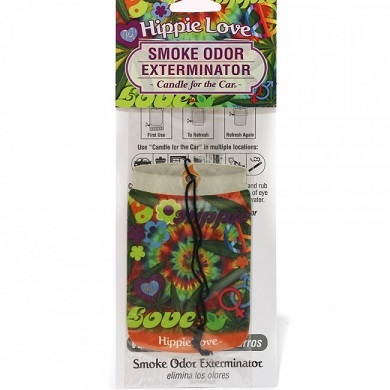 Smoke Odor Exterminator Hippie Love Air Fresheners are great for cigars, cigarettes, and pipes. This air freshener attacks and removes smoke odors. These fragrant air fresheners make wonderful gifts even for non-smokers! Smoke Odor Air Fresheners are made in the USA!